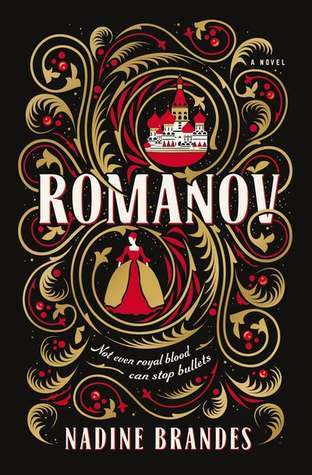 Official Synopsis from Goodreads: War and Peace broadly focuses on Napoleon’s invasion of Russia in 1812 and follows three of the most well-known characters in literature: Pierre Bezukhov, the illegitimate son of a count who is fighting for his inheritance and yearning for spiritual fulfillment; Prince Andrei Bolkonsky, who leaves his family behind to fight in the war against Napoleon; and Natasha Rostov, the beautiful young daughter of a nobleman who intrigues both men. My copy came from: I read the free Kindle version. Review: I found War and Peace to be long and boring. I don’t understand why this is such a popular book. But if you are alive—live: tomorrow you’ll die as I might have died an hour ago. And is it worth tormenting oneself, when one has only a moment of life in comparison with eternity? War and Peace is that name that people throw out when mentioning classics and long books. Well, it definitely is long! I started War and Peace last May (yep, May 2016!) and just finished it this July. I’m so thrilled to have finally finished this book, so that I can move on to something else. Sadly, I didn’t care for War and Peace at all. I honestly don’t understand why people rave over this book. It was far too long and far too boring. The official synopsis above mentions the characters being “moving”. Well, I don’t know what book they read, but for me, the characters were bland and dry. There really isn’t a main character to this book, and the book focuses on so many different characters that I had trouble keeping everyone straight for at least the first 25% of the book. I had to take notes in order to remember everyone’s connections. If I had to choose a favorite character it would be Prince Andrei Bolkonsky. I remember one scene of his, while he’s on the battlefield, early on in the book, that was so powerful! But, alas, that is one of the only scenes I really remember, and the book can’t survive on one scene alone. All we can know is that we know nothing. And that’s the height of human wisdom. As the title suggests, there are “war” sections, that detail fighting, strategy, and soldier’s lives, and there are “peace” sections, that sometimes felt Austen-esque in the drama and theatrics of some of the characters. I preferred the peace sections to the war sections, although, honestly, I didn’t particularly care for either. There are also long sections where Tolstoy rambles on about history, and are more philosophical musings, and I found those to be dry and you guessed it, boring. I really struggled to finish this book, at times setting it down and not picking it up for months, as I was not ever captivated by it. I’m glad that I read it, as it is a classic, and one that is highly regarded, but I can’t recommend it because it is too long and too boring. If you want to read Tolstoy, pick up Anna Karenina instead, which moves must faster and has one of the most compelling heroines I’ve ever read. I would like to watch the recent miniseries War and Peace, as I think the story will come more alive that way. Perhaps I’ll discover an appreciation for the book after watching the miniseries, although I must admit I am not very optimistic. Bottom Line: Too long and too boring. This was a very difficult read for me. Did you love War and Peace? Or are you like me, and couldn’t get into it? If you haven’t read it, do you plan on reading it at some point? Have you seen the miniseries? Why is this considered one of the greatest novels of all time? It was so long-winded and just blah all the way around! I was quite disappointed, but as you say, there are so many wonderful classics to read! And now I can attempt to read another classic 🙂 I’m not sure which classic I’ll try next. Maybe Bleak House or Tess of the D’Urbevilles. Or maybe a short one like Animal Farm. Oh, I love Rebecca! I just read it last year for the first time. I actually ended up reading Animal Farm over the past few days, and wow that’s a powerful book! It know, it’s brill! I know, it’s so powerful!! The fact that it was banned in Communist Russia shows the power it held! I actually loved this book, but we all have different tastes! I do recommend the movie version though with Audrey Hepburn and Peter Fonda. It cuts out all of the unimportant parts and focuses on the main plotline. It’s a really great adaptation! It drives me insane to watch movies with really famous people faking their accents. Audrey Hepburn is so obviously not Russian, so all I would focus on would be the accuracy of her accent. If it’s someone I don’t know though, like when I first encountered Hugh Laurie and didn’t know he was British, then I don’t mind. Lol! I know what you mean. I love Laurie as the mad scientist in Monsters vs Aliens. Well, so you finally finished this one. Doesn’t sound very encouraging the way you describe it, ha ha. BTW, what do you think has been its influence on the literature that’s come after it? I don’t recommend this, unless you want to read it to see what all the fuss is about, and to say that you’ve read it 🙂 Hmm. I think it’s influence would be the epic scope of the book, and that we see into so many different characters. But, I just looked up publishing dates, and Les Miserables, which I think is a great example of an epic book, was published earlier, and that one (for me) was far easier to get through. I’m just so confused that so many just love this book, as it felt way too wordy and long-winded for me. I think I didn’t connect with the characters, so that made the book really drag. I don’t have a problem with big books, I actually have the Barnes and Noble Classics Edition of this book so it has extra stuff, like endnotes. I usually don’t have a problem with big books either, and I’m not generally in a hurry to finish my books, but for some reason this one just didn’t capture my attention. When it got to Epilogue 2 I just wanted to scream in frustration! I hope you enjoy it when you read it – a lot of people really love it, and I was quite disappointed that I didn’t connect with this one. But oh well! Ha ha – yes!! I had to keep re-reading my notes to remember what was happening and who all the characters were. And it’s interesting that you remember the war scenes, as that is also what I remember most about the book as well. He did write those well (at least the action bits – not all the ramblings about the war). I wonder if the movie versions focus more on the war story or the peace story. If you want to read long classics, I would recommend Bleak House and Vanity Fair. Before you read, go to Wikipedia and print out the characters section. It’s a great reference tool to use while reading long, long novels. The next big book up on my list is The Brothers Karamazov. Ooh – great tip about printing out the character list! I think that probably would’ve helped with War and Peace. I’ve read Vanity Fair already, and really loved it, but hope to read it again someday! I do think my next big classic will be Bleak House. You’ve mentioned it here, and I keep thinking about it, and I feel like the universe is telling me to read it 🙂 I’ve never read The Brothers Karamazov – it’s on my list, but will probably be awhile until I get to it. Bleak House is more like Vanity Fair is terms of cast size and how there are important families, but it also has drama and Dickerson humor! I prefer Ana Karenina but I actually enjoyed War and Peace. Granted there were really long boring sections of a philosophical nature which I admit made me put down the book more than once 😆but I have to say that when I was finished I enjoyed the book overall. Maybe it has to do with Russian writers? Because Crime and punishment felt the same way to me. I still need to read Crime and Punishment! Some day! I think I completely missed everything that people like about this book, as I didn’t connect to it at all! There were too many very long boring parts for me. It just didn’t read like Anna Karenina did.